A supercentenarian is someone who has lived to or surpassed their 110th birthday. This age is achieved by about one in 1,000 centenarians. Anderson et al. concluded that supercentenarians live a life typically free of major age-related diseases until shortly before maximum human lifespan is reached. Jeanne Louise Calment was a French supercentenarian from Arles, and the oldest human whose age was well-documented, with a lifespan of 122 years and 164 days. Her longevity attracted media attention and medical studies of her health and lifestyle. Emma Martina Luigia Morano was born on 29 November 1899 in Civiasco, Vercelli, Piedmont, Kingdom of Italy, to Giovanni Morano and Matilde Bresciani,  the eldest of eight children (five daughters and three sons). She had a long-lived family: her mother, an aunt and some of her siblings turned 90, and one of her sisters, Angela Morano (1908–2011),  died at age 102. Civiasco is a comune (municipality) in the Province of Vercelli in the Italian region Piedmont, located about 90 kilometres (56 mi) northeast of Turin and about 50 kilometres (31 mi) north of Vercelli. Vercelli, is a city and comune of 46.552 inhabitants (1-1-2017) in the Province of Vercelli, Piedmont, northern Italy. One of the oldest urban sites in northern Italy, it was founded, according to most historians, around the year 600 BC. Piedmont is a region in northwest Italy, one of the 20 regions of the country. It borders the Liguria region to the south, the Lombardy and Emilia-Romagna regions to the east and the Aosta Valley region to the northwest; it also borders France to the west and Switzerland to the northeast. It has an area of 25,402 square kilometres (9,808 sq mi) and a population of 4,377,941 as of 30 November 2017. The capital of Piedmont is Turin. 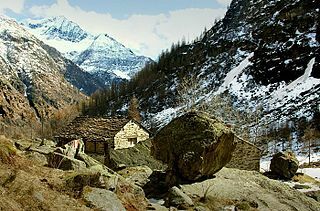 Valsesia is a group of valleys in the north-east of Piedmont in the Province of Vercelli, Italy; the principal valley is that of the river Sesia. The Ossola[ˈɔssola] is an area of Italy situated to the north of Lago Maggiore. It lies within the Province of Verbano-Cusio-Ossola. Its principal river is the Toce, and its most important town Domodossola. Verbania is the most populous comune (municipality) and the capital city of the province of Verbano-Cusio-Ossola in the Piedmont region of northwest Italy. It is situated on the shore of Lake Maggiore, about 91 km (57 mi) north-west of Milan and about 40 km (25 mi) from Locarno in Switzerland. It had a population of 30,827 at 1 January 2017. Jute is a long, soft, shiny vegetable fiber that can be spun into coarse, strong threads. It is produced primarily from plants in the genus Corchorus, which was once classified with the family Tiliaceae, and more recently with Malvaceae. The primary source of the fiber is Corchorus olitorius, but it is considered inferior to Corchorus capsularis. "Jute" is the name of the plant or fiber used to make burlap, hessian or gunny cloth. The Society of Mary, a Roman Catholic Marian Society, is a congregation of brothers and priests called The Marianists or Marianist Brothers and Priests. The Society was founded by Blessed William Joseph Chaminade, a priest who survived the anti-clerical persecution during the French Revolution. The Society is one of the four branches of the Marianist Family. Along with the other branches, the Marianist Brothers and Priests look to Mary as a model of faith and spirituality. They believe that the best ways to live a spiritual life are to share their faith with others, work with the poor, and educate and nourish the mind, the body, and the soul. Giorgio Napolitano, is an Italian politician who served as the 11th President of the Republic from 2006 to 2015, and the only Italian President to be reelected to the Presidency. Due to his monarchical style and his dominant position in Italian politics, critics often refer to him as Re Giorgio. He is the longest serving President in the history of the modern Italian Republic, which has been in existence since 1946. The egg is the organic vessel containing the zygote in which an embryo develops until it can survive on its own; at which point the animal hatches. An egg results from fertilization of an egg cell. Most arthropods, vertebrates, and mollusks lay eggs, although some, such as scorpions do not. 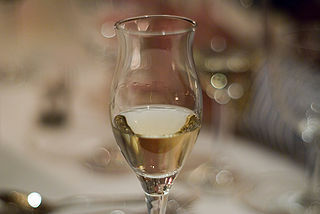 Grappa is an alcoholic beverage, a fragrant, grape-based pomace brandy of Italian origin that contains 35 to 60 percent alcohol by volume. Wikimedia Commons has media related to Emma Morano . ↑ Susannah Mushatt Jones died on 12 May 2016 at 8:26 pm EDT. However, in Italy, where Morano lived, the date was already 13 May 2016 (CEST). Marie-Louise Fébronie Meilleur was a French Canadian supercentenarian. Meilleur is the oldest validated Canadian ever and upon the death of longevity world record holder Jeanne Calment, became the world's oldest recognized living person. She was succeeded as the oldest living person by Sarah Knauss. Longevity claims are unsubstantiated cases of asserted human longevity. Those asserting lifespans of 110 years or more are referred to as supercentenarians. Many have either no official verification or are backed only by partial evidence. Cases where longevity has been fully verified, according to modern standards of longevity research, are reflected in an established list of supercentenarians based on the work of organizations such as the Gerontology Research Group (GRG) or Guinness World Records. This article lists living claims greater than that of the oldest person whose age has been independently verified, Kane Tanaka at 116 years, 113 days, and deceased claims greater than that of the oldest person ever whose age has been verified, namely Jeanne Calment who died at the age of 122 years, 164 days. The upper limit for both lists is 130 years. Jeralean Talley was an American supercentenarian who was, at the age of 116 years, 25 days, the world's verified oldest living person. She was previously thought to be the oldest living American, from the death of Elsie Thompson on March 21, 2013 until Gertrude Weaver was verified to be older in July 2014. Upon Weaver's death on April 6, 2015, Talley was recognized as the oldest living person in the world. Talley received letters from U.S. President Barack Obama on her 114th and 116th birthdays acknowledging her status. Susannah Mushatt Jones was an African American supercentenarian who was, at the age of 116 years and 311 days, the world's oldest living person and the last living American born in the 19th century. She received tributes from the United States House of Representatives and from the Alabama House of Representatives "for a remarkable lifetime of exceptional achievement lived during three centuries". Violet Brown was a Jamaican supercentenarian who was the oldest verified living person in the world for five months, following the death of Emma Morano on 15 April 2017 until her own death at the age of 117 years, 189 days on 15 September 2017. She was the fifth-oldest person in history at the time of her death and along with Nabi Tajima of Japan, was one of the last two living people known to have been born in the 19th century. Events during the year 2017 in Italy. Kane Tanaka is a Japanese supercentenarian who at her age of 116 years, 112 days, is the world's oldest verified living person following the death of 117-year-old Chiyo Miyako on 22 July 2018. ↑ "Oldest Validated Living Supercentenarians". Gerontology Research Group. Retrieved 29 November 2016. ↑ "Auguri alla nonna d'Italia che ha visto 10 Papi" (in Italian). San Francesco. Retrieved 5 May 2013. 1 2 "Le onorificenze della Repubblica italiana" (in Italian). Quirinale.it. Archived from the original on 28 September 2013. Retrieved 5 May 2013. ↑ "Emma Morano, world's oldest living person and last link to 19th Century, celebrates her 117th birthday". The Telegraph. London. Retrieved 15 April 2017. 1 2 "Emma Morano, è italiana la nonnina del mondo". DiRegiovani (in Italian). 16 May 2016. 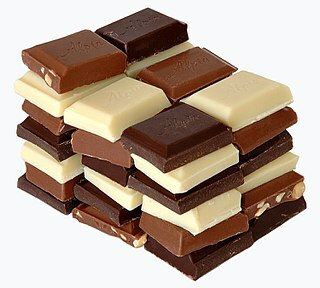 ↑ "Longevity tips from the world's oldest person". The New Daily. 17 May 2016. Retrieved 27 December 2016. 1 2 "I miei 112 anni di storia d'Italia". La Stampa (in Italian). ↑ "'Angiolina', Sono 102!" (in Italian). Verbaniamilleventi.org. 27 March 2007. Archived from the original on 6 November 2013. Retrieved 5 May 2013. ↑ "La nonna che abbraccia tre secoli" (in Italian). Caffe.ch. 12 November 2010. Retrieved 5 May 2013. 1 2 mario.giovanardi. "Emma MArano 113 anni Mangio tre uova al giorno, come mi disse il dottore quando ero ragazza" (in Italian). Vip.it. Archived from the original on 15 October 2013. Retrieved 5 May 2013. ↑ "Emma Morano, 112 anni: ha visto dieci Papi. Il segreto? Tre uova al dì" (in Italian). 45.9215067,8.5515597: Blitzquotidiano.it. Retrieved 5 May 2013. ↑ Diebel, Matthew (13 May 2016). "This woman is the only person left born in the 1800s". USA TODAY. Retrieved 27 April 2017. ↑ "Nacque sotto re Umberto I. Era il 1899 Emma Morano è nata a Civiasco 112 anni fa. Oggi vive a Verbania e abita ancora da sola 'Martedì ho festeggiato con torta e vino bianco'. Mangia tre uova al giorno e beve la 'sua' grappa" (in Italian). Civiasco.netweek.it. 16 July 1987. Retrieved 5 May 2013. ↑ "Emma Morano compie 115 anni". La Stampa (in Italian). Retrieved 3 December 2014. ↑ Bender, Kelli. "Emma Morano, 115, Credits Her Long Life to Raw Eggs and Staying Single" . Retrieved 12 March 2016. ↑ CNN, Faith Karimi. "Emma Morano, world's oldest person, dies at age 117". CNN. Retrieved 20 April 2017. 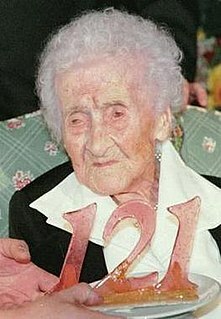 ↑ "Emma Morano compie 114 anni" (in Italian). ogginotizie.it. Retrieved 30 November 2013. ↑ "I 116 anni di Emma Morano". Eco Risveglio (in Italian). 29 November 2015. ↑ "Nonna Emma compie 115 anni" (in Italian). 29 November 2014. Retrieved 31 January 2016. ↑ Boyette, Chris; Melendez, Pilar (14 May 2016). "Susannah Mushatt Jones, world's oldest person, dies at 116". cnn.com. CNN . Retrieved 28 July 2016. ↑ "This woman is the only person left born in the 1800s". USA Today . 13 May 2016. ↑ Ronchi, Sergio (2 August 2016). "Emma Morano Sul Libro Del Guinness World Records" (in Italian). verbaniamilleventi.org. Retrieved 3 August 2016. ↑ Ronchi, Sergio (2 August 2016). "Guinness e marianisti premiano Emma Morano". La Stampa (in Italian). Retrieved 3 August 2016. ↑ Povoledo, Elisabetta (29 November 2016). "Emma Morano, World's Oldest Person, Turns 117". The New York Times. Retrieved 11 April 2017. ↑ "Italy's Emma Morano, the world's oldest person, dies at 117". ABC News. 15 April 2017. Retrieved 15 April 2017. ↑ D'Emilio, Frances (15 April 2017). "Emma Morano, the world's oldest person, dies in Italy at 117". The Chicago Tribune. Retrieved 15 April 2017. ↑ "La biografia per la valsesiana più vecchia del mondo" (in Italian). La Sesia. 3 January 2017. Retrieved 11 January 2017. ↑ Fernando, Spencer (15 April 2017). "World's Oldest Person Dead At Age 117". MyToba.ca News. Archived from the original on 16 April 2017. Retrieved 8 May 2017. ↑ Ronchi, Sergio (15 April 2017). "Verbania, morta a 117 anni Emma Morano: era la più anziana del mondo". La Stampa (in Italian). Retrieved 15 April 2017. ↑ "World's oldest person Emma Morano dies at 117". BBC News. 15 April 2017. Retrieved 15 April 2017. ↑ D'Emilio, Frances (15 April 2017). "Italy's Emma Morano, the world's oldest person, dies at 117". The Washington Post. Archived from the original on 15 April 2017. Retrieved 15 April 2017. ↑ "Italy's Emma Morano, the world's oldest person, dies at 117". STAT News. 15 April 2017. Retrieved 15 April 2017– via Associated Press.